How did Scott Frost use his personnel in Nebraska's season-opening loss to Colorado? 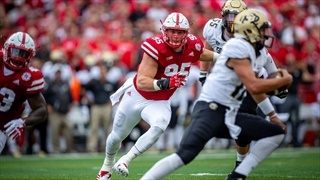 In part two of Friday's two--part edition of Padding the Stats, Jacob Padilla broke down the snap counts and personnel groupings for Frost's defense against the Buffaloes. 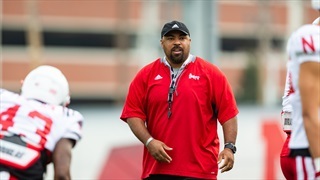 Notes and quotes from Week 3 of Nebraska football practice from the recorders of Erin Sorensen, Greg Smith, Jacob Padilla and Derek Peterson. How did Scott Frost use his personnel in Nebraska's season-opening loss to Colorado? In part one of a special two-part edition of Padding the Stats, Jacob Padilla broke down the snap counts and personnel groupings for Frost's offense against the Buffaloes. We gear up for Troy with Jeremiah Sirles and put a fork in the Buffs. Former Husker coach George Darlington stops by to talk the Big Red, Gary Barnett shares his impressions on Adrian Martinez and BTN's Gerry DiNardo recounts Nebraska's impressive opener. 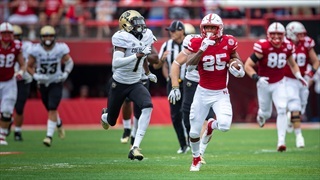 There were a lot of reasons for Nebraska’s 33-28 loss to Colorado, but special teams coordinator Jovan Dewitt emphasized cleaning up special teams mistakes as much as anything this week. 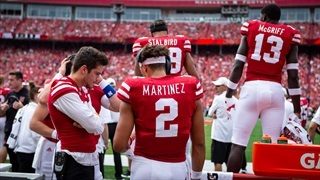 On Wednesday, Nebraska released a copy of the footage sent to both the Pac-12 and Big Ten league offices regarding the play quarterback Adrian Martinez was injured on during Saturday's game against Colorado. It's a mega-mailbag. 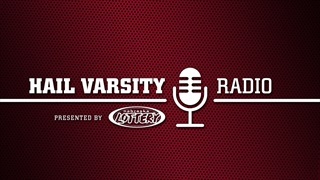 Brandon Vogel, Erin Sorensen, Greg Smith, Jacob Padilla and Derek Peterson are here to answer all the Nebraska football (and volleyball) questions. Nebraska quarterback Adria Martinez missed his third straight practice, but offensive coordinator Troy Walters said the Huskers feel good about their options, and more, after Wednesday's practice. Sauce is good. Nebraska’s offense has it again, and, based on what we saw in Week 1 from a few first-time contributors, this is going to be fun. 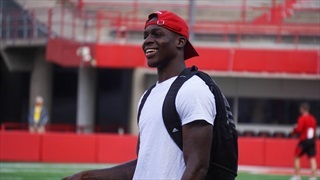 Caleb Tannor met with the media on Monday to cover his first game at Nebraska, who has helped him since arriving in Lincoln and playing like Blackshirts. 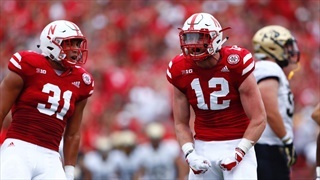 Nebraska defensive coordinator Erik Chinander said there's plenty to clean up from Saturday's loss to Colorado, but there's also plenty to be encouraged about going forward. 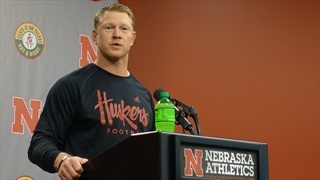 We've got the top five moments from Nebraska coach Scott Frost's Monday press conference. It's pretty quarterback heavy. 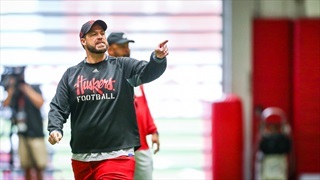 Erik Chinander is more than Nebraska's defensive coordinator. He's also a wizard that's bringing a lot of magic to the Husker defense. Nebraska kept Nebraska from winning last Saturday. 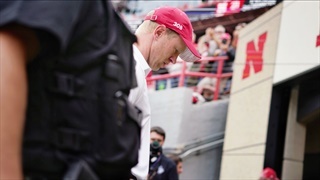 The Huskers know it and Scott Frost says they'll hope to have it fixed as Troy comes to town. 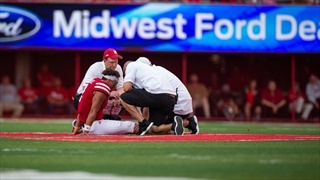 Nebraska quarterback Adrian Martinez is "day-to-day" following a knee injury against Colorado, but the play that resulted in the injury is up for review after Scott Frost said the Huskers submitted it to conference officials for review. 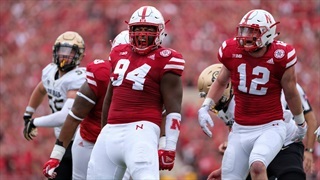 After paying his dues and working his way up the depth chart, junior inside linebacker Mohamed Barry has become a key part of the new-look Nebraska defense. Nebraska's defense wasn't perfect on Saturday, but it did get after the ball. It filed for residency in the Colorado backfield. 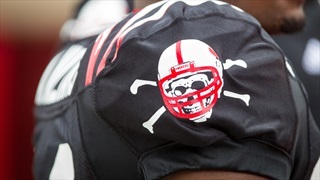 It looked like a Blackshirts defense. 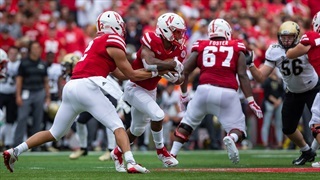 Nebraska fans came into the 2018 season prepared for a gradual rebuild of the Husker football program, but a loss, as it always has, provided an early test of patience in some corners. 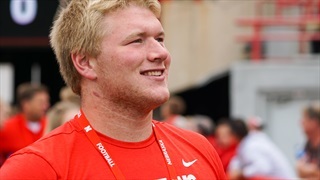 Nebraska made an impression on South Dakota defensive tackle Nash Hutmacher during his unofficial visit, as the Huskers have what looks like another head-to-head battle with Wisconsin. Hail Varsity managing editor Brandon Vogel takes a stats-based look at how Nebraska let a win get away.